Maximum altitude gain 3,870 M.
Mani Rimdu Festival is the famous festival of Sherpa people who belong to Nying-Mapa sect of Tibetan Buddhist which is performed in the monastery. This festival falls in the month of October/November every year. In this festival Monks meditate for nine days which is followed by public blessing and the world renowned mask dance at Tengboche monastery. it is also celebrated in the Chiwang monastery of the Everest region. In this festival the monks of Everest region perform various rituals with singing and dancing. 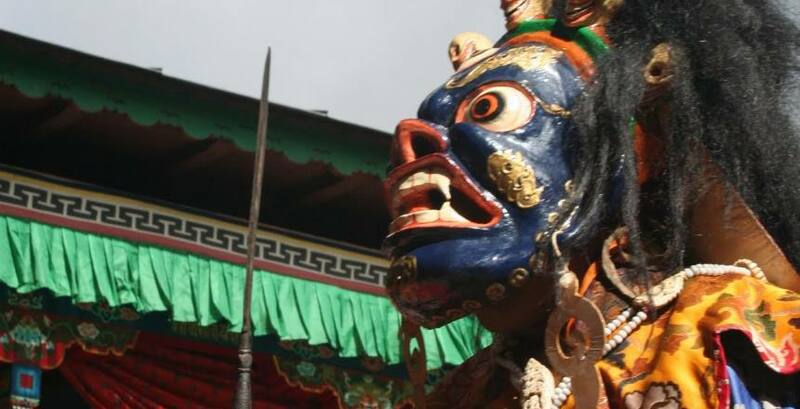 It is believed that this festival was first celebrated in 1930 Tengboche monastery of Everest region. It is originated in Rongbukh Monastery in Tibet. Mani Rimdu festival trek provides the opportunity to the visitors to get insight into the Sherpa culture as well as enjoy the colorful Mani Rimdu festival. In this trek you also get opportunity to observe and enjoy the excellent view of the towering mountains like Mt. Everest (8848m)-the highest mountain of the world, Lhotse, Makalu, Ama Dablam etc. Mani Rimdu Festival Trek offers the excellent combination of beautiful natural scenery, trekking experience in the Himalayan region and coming into contact with the Sherpa people and their unique culture. This cultural trekking commences with the scenic flight from Kathmandu to Lukla. This trek takes you through the most popular villages of the Everest region where you can enjoy friendliness behavior of the local Sherpa people. They have a rich culture and interesting traditions that must be experienced. On the way you can enjoy the blooming rhododendron forest and explore varieties of flora and fauna. In the world heritage site Sagarmatha national park you can encounter rare wild animals and birds like red panda, snow leopard, wild boar, etc. The most attraction of this trekking is the Tengboche monastery where you can explore and enjoy the Mani Rimdu festival. trekking in the rich Buddhist culture, warm-friendly locals,traditional village,land of worlds heritage, high alpine valley's in the shade of the giant peaks of 'Mt.Everest'. Day 06Namche to Tengboche Monastery (3860m.) This day we leave Namche bazaar and walk for some time along the ridge and then descend to Dudh Koshi River at Phunkithanka. Then after crossing the bridge we ascend in the steep path up to the Tengboche. On reaching Tengboche you will see the local monastery. Tengboche have largest Monastery of Khumbu region. Day 07observe Mani Rimdu festival in Tengboche monastery This day we observe the Mani Rimdu festival in Tengboche monastery. We explore the monastery and interact with the monks there. 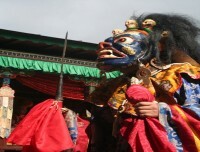 Mani Rimdu festival is the famous festival of Sherpa people performed in the Monastery. 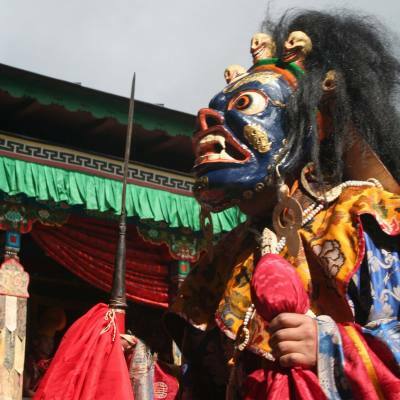 In this festival Monks meditate for nine days which is followed by public blessing and the world renowned mask dance at Tengboche monastery. You enjoy the mask dance in the Monastery. 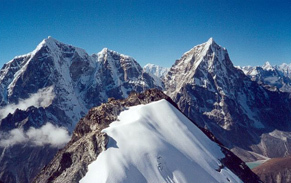 From Tengboche we can also observe the awesome beauty of Mt. Everest (8848m) and its neighboring peaks Like Ama Dablam, Lhotse, Nuptse etc. Day 09Tengboche to Namche (3440m.) This day we retrace our route to Namche bazaar. We descend on the steep path to the Dudh Kosi and then climb up to Namche Bazaar. Overnight at guesthouse. Day 10Namche to Lukla (2840m.) Finally we return to Lukla where the trek began, which will seem like a lifetime ago. Enjoying time to reflect on the trek as a group and the personal achievement of all those who took part. Also giving you time to explore the town. Overnight at guesthouse. Day 11Flight to Kathmandu This day you take flight back to Kathmandu. Day 12Leisure day in Kathmandu It's also spare day in case of bad weather in Lukla. Otherwise you can visit different places or do shopping.